On the same note, the boots below are arguably not very Spring-like, although as I'm in Ireland I could most likely still wear these boots in August as 'Summer' isn't really a thing here. I pretty much ran to grab these boots when they first caught my eye in River Island and was literally in shock at the £25 sale sticker. 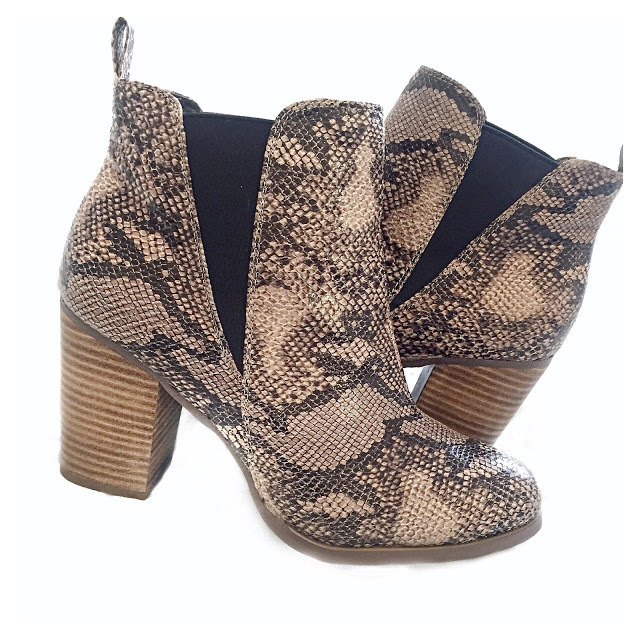 I'd been looking for snakeskin boots for so long, although most of what I'd seen just hadn't been right. I thought these were the perfect tone as the colours aren't too 'out there' even though it's a statement print. I've paired these with a plain khaki dress and they looked great together so I'm looking forward to styling these with some other pieces in my wardrobe! I'd love to know what you think of these shoes! Are they something you'd wear! ?